﻿Our ﻿Barley ﻿Hill ﻿White ﻿is ﻿a ﻿blend ﻿of ﻿three ﻿grape ﻿varieties, ﻿Seyval ﻿Blanc, ﻿Phoenix ﻿and ﻿Madaline ﻿Angevine. 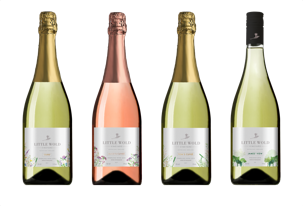 ﻿Described ﻿as ﻿the ﻿dry ﻿end ﻿of ﻿medium ﻿dry, ﻿a ﻿pleasant, ﻿fruity ﻿wine ﻿(typical ﻿of ﻿English) ﻿with ﻿a ﻿lasting ﻿aftertaste ﻿of ﻿apple ﻿and ﻿plum. ﻿Awarded ﻿a ﻿bronze ﻿award ﻿at ﻿the ﻿'MVA ﻿2017 ﻿and ﻿2018 ﻿Annual ﻿Wine ﻿Challenge' ﻿in ﻿the ﻿Medium ﻿Whites ﻿Class ﻿2 ﻿Category. ﻿We ﻿named ﻿our ﻿first ﻿white ﻿wine ﻿‘Barley ﻿Hill’ ﻿after ﻿the ﻿crop ﻿that ﻿was ﻿once ﻿grown ﻿on ﻿the ﻿hillside ﻿where ﻿our ﻿vineyard ﻿now ﻿sits. ﻿Once ﻿upon ﻿a ﻿time ﻿our ﻿farm ﻿produce ﻿a ﻿range ﻿of ﻿cereal ﻿crops, ﻿mainly ﻿used ﻿to ﻿feed ﻿the ﻿livestock ﻿on ﻿the ﻿farm. 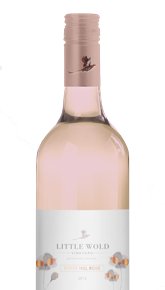 ﻿Poppy ﻿Hill ﻿Rosé ﻿is ﻿our ﻿still ﻿rosé ﻿wine ﻿made ﻿from ﻿the ﻿Rondo ﻿grape ﻿variety. ﻿Described ﻿as ﻿medium ﻿dry, ﻿a ﻿smooth ﻿but ﻿quite ﻿full ﻿flavoured ﻿wine. ﻿Awarded ﻿a ﻿bronze ﻿award ﻿at ﻿the ﻿'MVA ﻿2017 ﻿Annual ﻿Wine ﻿Challenge' ﻿in ﻿the ﻿Medium ﻿Whites ﻿Class ﻿2 ﻿Category ﻿and ﻿Silver ﻿in ﻿the ﻿same ﻿class ﻿in ﻿2018. ﻿Our ﻿Chalk ﻿Hill ﻿White ﻿is ﻿a ﻿blend ﻿of ﻿three ﻿grape ﻿varieties, ﻿Seyval ﻿Blanc, ﻿Phoenix ﻿and ﻿Madaline ﻿Angevine. ﻿Described ﻿as ﻿a ﻿dry, ﻿pleasant, ﻿fruity ﻿wine ﻿(typical ﻿of ﻿English) ﻿with ﻿a ﻿lasting ﻿aftertaste ﻿of ﻿apple ﻿and ﻿plum. ﻿Awarded ﻿a ﻿bronze ﻿award ﻿at ﻿the ﻿'MVA ﻿2018 ﻿Annual ﻿Wine ﻿Challenge' ﻿in ﻿the ﻿Dry ﻿Whites ﻿Class. ﻿We ﻿named ﻿this ﻿wine ﻿‘Chalk ﻿Hill’ ﻿after ﻿the ﻿land ﻿type ﻿on ﻿which ﻿the ﻿majority ﻿of ﻿our ﻿farm ﻿land ﻿resides. ﻿These ﻿are ﻿the ﻿steep ﻿hillsides ﻿along ﻿the ﻿wolds ﻿way. ﻿These ﻿hills ﻿with ﻿a ﻿chalky ﻿soil ﻿type ﻿have ﻿provided ﻿the ﻿perfect ﻿terroir ﻿for ﻿grape ﻿growing! ﻿Three ﻿Cocked ﻿Hat ﻿is ﻿our ﻿first ﻿ever ﻿red ﻿wine ﻿made ﻿from ﻿the ﻿Rondo ﻿grape ﻿variety. ﻿Described ﻿as ﻿light ﻿in ﻿body ﻿but ﻿full ﻿of ﻿fruity ﻿flavour, ﻿Three ﻿Cocked ﻿Hat ﻿is ﻿11.5% ﻿in ﻿alcohol ﻿level. ﻿This ﻿wine ﻿gets ﻿its ﻿name ﻿from ﻿the ﻿shape ﻿of ﻿the ﻿field ﻿in ﻿which ﻿our ﻿vineyard ﻿now ﻿sits. ﻿The ﻿woodland ﻿along ﻿the ﻿bottom ﻿and ﻿to ﻿its ﻿peak ﻿have ﻿created ﻿three ﻿points, ﻿making ﻿its ﻿shape ﻿resemble ﻿a ﻿‘Three ﻿Cocked ﻿Hat.’ ﻿It’s ﻿name ﻿goes ﻿back ﻿from ﻿before ﻿we ﻿owned ﻿the ﻿farm ﻿in ﻿the ﻿1940’s ﻿and ﻿will ﻿continue ﻿far ﻿in ﻿the ﻿future! ﻿Henry’s ﻿Harvest ﻿is ﻿a ﻿Brut ﻿sparkling ﻿wine ﻿that ﻿has ﻿a ﻿fresh ﻿and ﻿fruity ﻿taste. ﻿With ﻿a ﻿hint ﻿of ﻿green ﻿apple ﻿and ﻿plum ﻿it ﻿is ﻿light ﻿and ﻿satisfying ﻿on ﻿the ﻿palate. 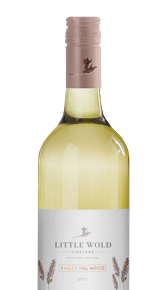 ﻿This ﻿is ﻿a ﻿2017 ﻿vintage ﻿wine ﻿made ﻿by ﻿the ﻿traditional ﻿double ﻿fermentation ﻿method ﻿using ﻿our ﻿Phoenix, ﻿Seyval ﻿Blanc ﻿and ﻿Madeleine ﻿Angevine ﻿grape ﻿varieties. ﻿We ﻿felt ﻿it ﻿was ﻿only ﻿right ﻿to ﻿name ﻿our ﻿first ﻿sparkling ﻿wine ﻿after ﻿the ﻿pioneer ﻿behind ﻿the ﻿farm’s ﻿success ﻿and ﻿the ﻿vineyards ﻿existence. ﻿Henry ﻿is ﻿the ﻿2nd ﻿generation ﻿of ﻿Wilson’s ﻿to ﻿run ﻿Market ﻿Place ﻿Farm ﻿and ﻿it ﻿was ﻿his ﻿idea ﻿(and ﻿retirement ﻿project) ﻿to ﻿plant ﻿2000 ﻿vines ﻿by ﻿hand ﻿in ﻿2012. ﻿Heather’s ﻿Sparkle ﻿is ﻿a ﻿Brut ﻿Rosé ﻿sparkling ﻿wine ﻿that ﻿exhibits ﻿strawberry ﻿aromas ﻿while ﻿on ﻿the ﻿palate ﻿the ﻿wine ﻿is ﻿fresh ﻿and ﻿crisp. ﻿This ﻿is ﻿a ﻿2016 ﻿vintage ﻿wine ﻿made ﻿by ﻿the ﻿traditional ﻿double ﻿fermentation ﻿method ﻿using ﻿our ﻿Rondo ﻿grape ﻿variety. ﻿In ﻿the ﻿very ﻿beginning ﻿of ﻿his ﻿retirement ﻿venture, ﻿Henry ﻿made ﻿his ﻿wife ﻿Heather ﻿a ﻿promise ﻿that ﻿he ﻿would ﻿produce ﻿her ﻿a ﻿bottle ﻿or ﻿two ﻿of ﻿her ﻿favourite ﻿tipple ﻿‘fizz’ ﻿for ﻿her ﻿65th ﻿birthday ﻿and ﻿sure ﻿enough ﻿he ﻿kept ﻿his ﻿word! Sneak peak of our new wines..